If there is one teenage in the sport who is easy to envision as a future world champion, it just may be 19-year old Devin “The Dream” Haney. The unbeaten lightweight prospect has been heavily hyped for years, and has done well for himself in compiling a 18-0 record (12 KO’s). On Friday, May 11, Haney returns in Philadelphia on SHOWTIME’s popular ShoBox: The New Generation series, where he will be battling Mason Menard (33-2, 24 KO’s). Out in Las Vegas, Haney continues to hone his skills as was seen recently sparring with former two-division world champion Jessie Vargas ahead of his April 21 fight with Adrien Broner. In addition to his work with Vargas, Haney has been in the ring with Shawn Porter, Gervonta Davis, Floyd Mayweather, Rances Barthelemy, and countless others over the past few years. Haney won several national junior amateur titles as a youth while compiling a 130-8 record. 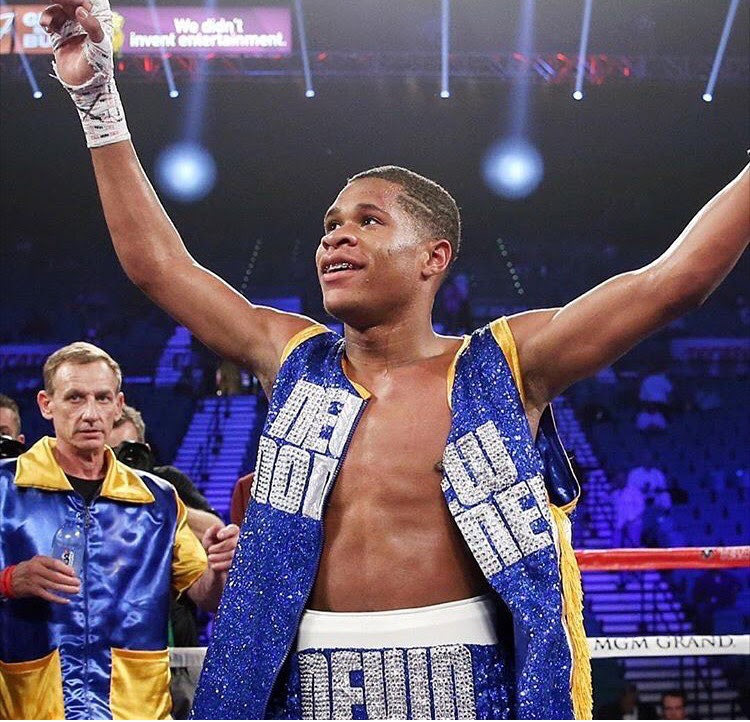 He also made history as being just 17 years old while making his U.S. debut on the undercarrd of Manny Pacquiao’s third fight with Tim Bradley. Menard is a very capable opponent for Haney, and one with experience on ShoBox, including his victory over Eudy Berrnardo. Menard’s only recent defeat saw him suffer a stoppage loss on short notice to reigning WBO lightweight champion Ray Beltran and he knows the importance of this match. After facing Beltran, Menard switched trainers and is now based in Los Angeles with trainers John Pullman and Buddy McGirt. Anyone who knows McGirt knows that the former two-division champion has a history with big-name fighters, dating all the way back to his fighters Arturo Gatti and Antonio Tarver. Menard definitely appears to be in good hands now. Sounds like a big task for a teenager but Haney is special in many regards and should deliver another great performance. Ticket info can be found below.